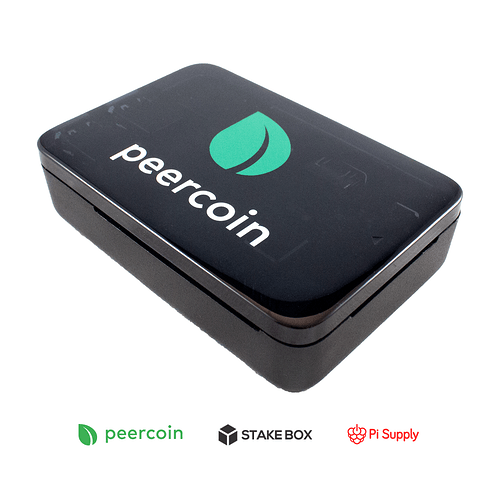 The Peercoin Team is proud to announce our partnership with StakeBox. StakeBox is a brand by Pi Supply, which is a world leading distributor of Raspberry Pi mini computers. For the past 3 months, we have been working together to develop a secure Staking Box for minting your peercoins. Our partnership will come with a number of benefits. 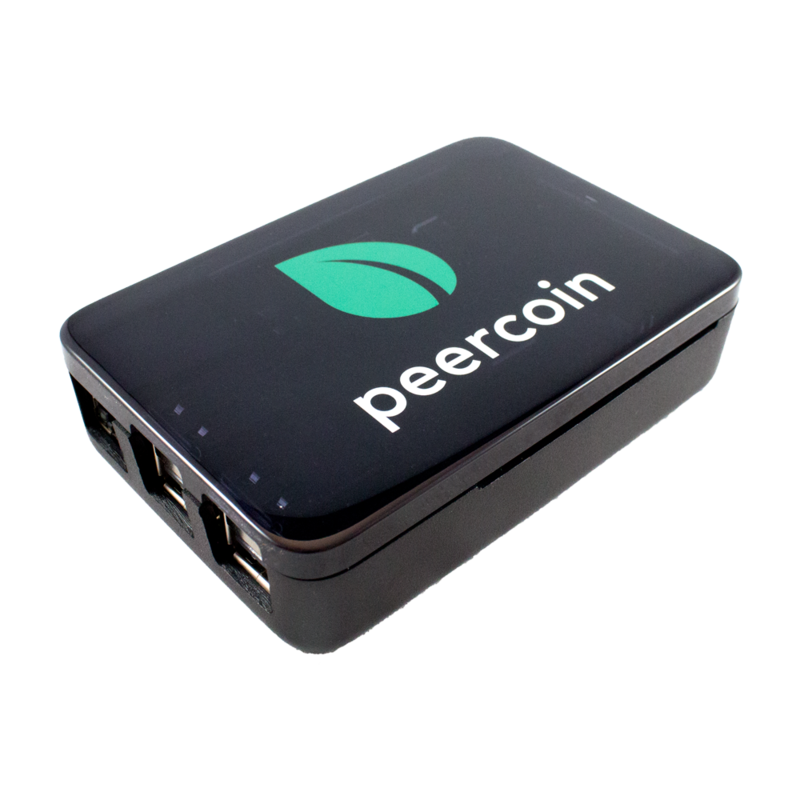 The Peercoin StakeBox will receive dedicated advertising and marketing from Pi Supply. Pi Supply will pass a fraction of the profits for every device sold to the Peercoin Foundation, which will help fund further development of the Peercoin ecosystem. The Peercoin Team will be able to pass updates to Pi Supply’s repository, allowing for automated updates of all StakeBox devices. No more complicated manual updating to worry about. 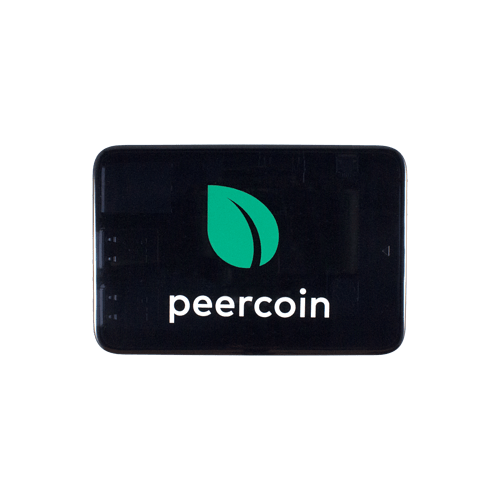 Most of all, this partnership will help to create more Peercoin nodes around the world, helping to further decentralize the network and increase security. The Peercoin network is secured through an efficient validation process called proof of stake minting. Minters hold peercoins in their wallets and over time they produce new blocks for the network, which earns them new peercoins. 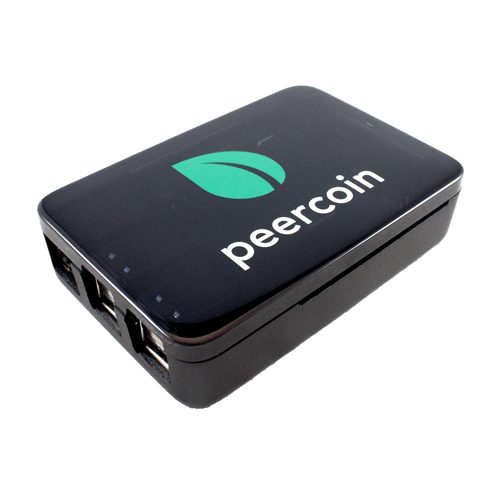 The Peercoin StakeBox runs on a Raspberry Pi 3, allowing you to participate in the minting process 24 hours a day, 7 days a week at minimal energy cost. Just load it with peercoins and let it sit and mint for you in the background. 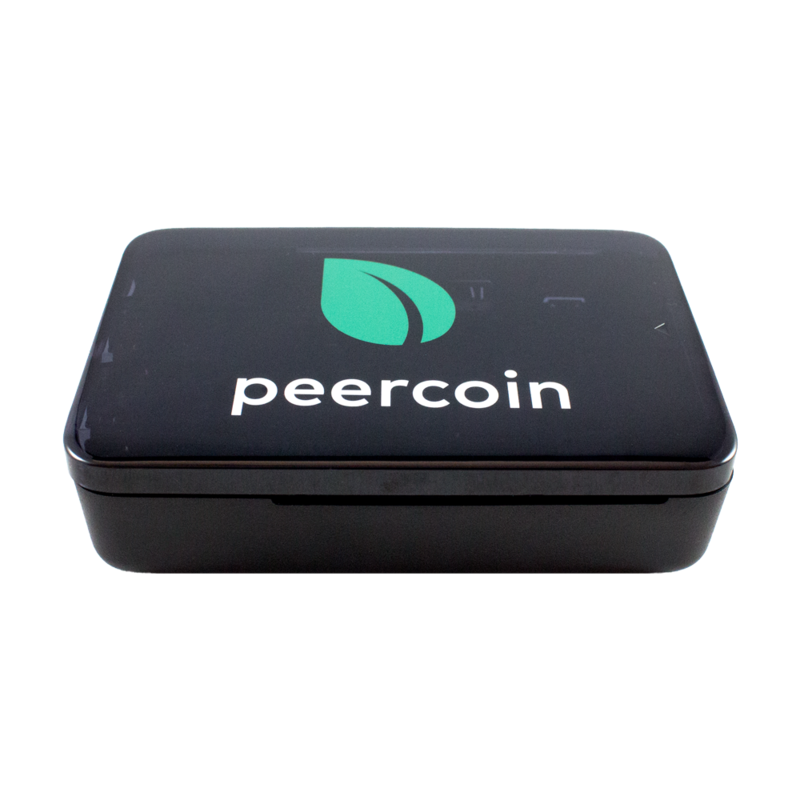 The Peercoin StakeBox is small and compact, making it easy to move. Minting on a dedicated StakeBox rather than your everyday computer also means you are less exposed to viruses and hackers, increasing the security of your peercoins. 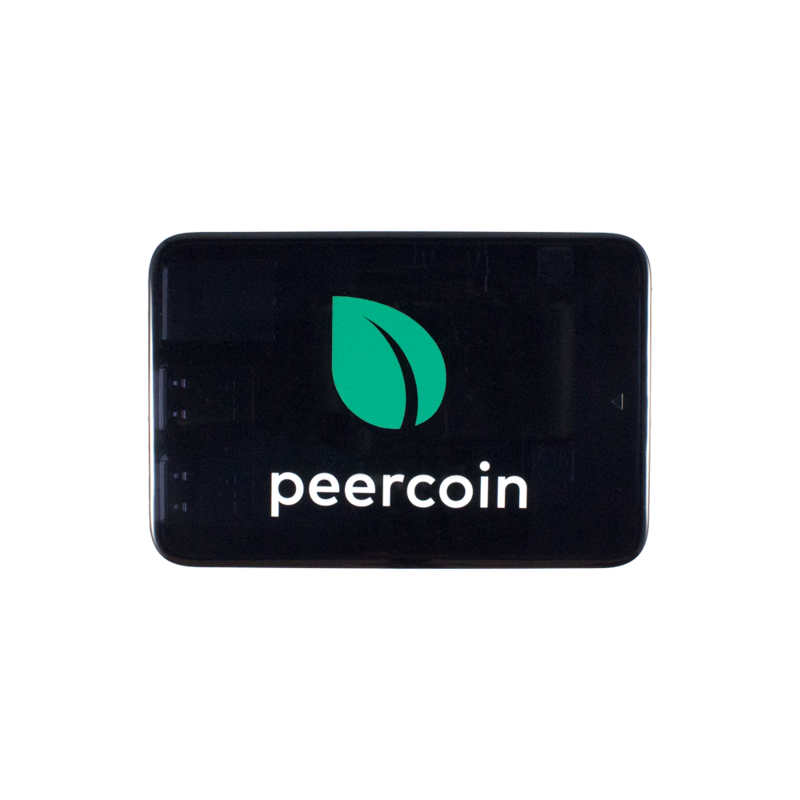 Peercoin is the world’s first efficient and sustainable blockchain technology. The core function of Peercoin is providing a decentralized and censorship resistant public blockchain for the world to use. Peercoin acts as a secure base layer for the future blockchain connected world. 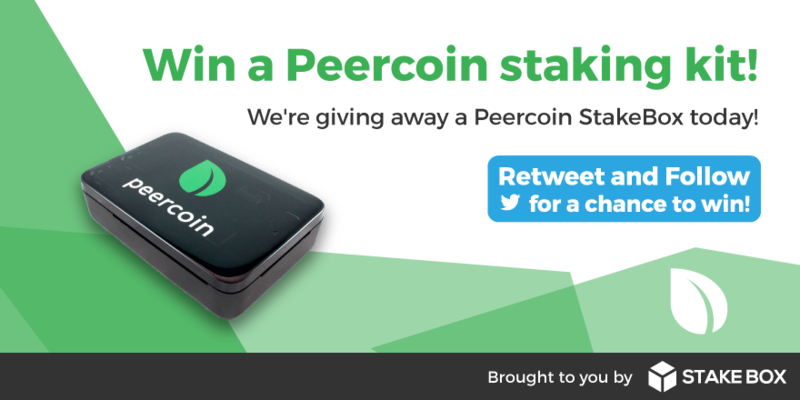 Released in 2012, Peercoin was the first cryptocurrency to invent and introduce proof of stake consensus to the world. The Peercoin blockchain is designed for storing your wealth in decentralized form where it’s secure from external threats. Coin holders have the power to directly influence the network and its rules through PoS minting, ensuring decentralization. Peercoin provides an energy efficient network that is secured at low cost, ensuring long-term security & sustainability. I can confirm that the payment method via PPC works. Just completed an order and got confirmation of payment completion via email. Is this anticipated big annoucement ? Peerbox is now obsoleted by StakeBox. 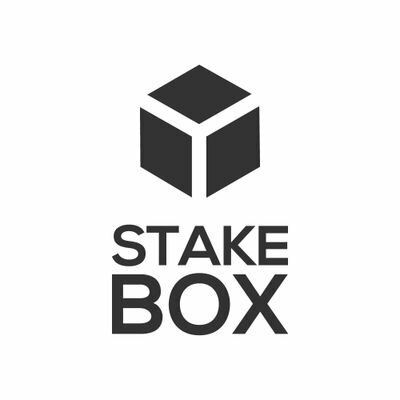 Please use this thread to write list of features you’d like to see with StakeBox and we’ll slowly start implementing it. seems that stakebox has started shipping these! I was looking to set up a node on a Raspberry - both to help the network and just something to tinker with and learn more. Well worth $50. I planned to follow the PeerBox tutorial. How’s this Stakebox differ? And how do Automatic Updates work? As a non-techie, is Stakebox more of a set it and forget it? Stakebox is a plug and play Pi with the wallet preinstalled. What is need is a keyboard and monitor to plug in to and you are ready to go. I assume the wallet works just like other software with a repository so you will get updates just like you would update other software on your pi. Possibly there is also a peercoind version installed if you wish to work headless. But that is the advanced path for the techies among us. As far as I know, I have the wallet file from windows PC, how do I get THAT file to run on the peerbox? The easy way out would be to transfer funds from my pc to the new stakebox wallet file BUT I need to prove a concept of a backup wallet working. I have NEVER successfully copied a wallet file and have it run on another device, the software seems bloody complicated. In the File/Folder Browser on the stakebox(raspberry pi/Linux). Then press ctrl + h (control button plus h button). This will then display the peercoin directory, inside is the wallet.dat file, got that sorted out. As for staking, I’ve just encrypted the wallet file. What does the lock/unlock button do? Whether its locked or not I have to enter the passcode to send coins, im okay with that, so it has to be unlocked for minting? And how about the stakebox? 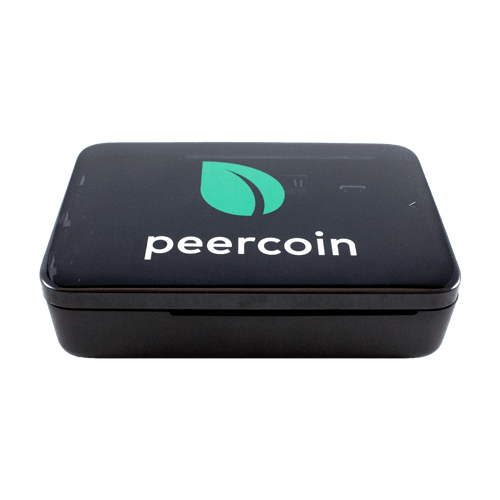 I’ve got it connected to a TV, IF I have the peercoin client open and unlocked, If I remove my usb receiver for my keyboard and mouse, will the box stay open for minting? Is it a problem if the system goes into a standby mode? Nice work setting up a stake box! it has to be unlocked for minting? Yeah, once you’ve encrypted the wallet you can use “Settings > Decrypt Wallet for Minting Only” to start minting. Is it a problem if the system goes into a standby mode? I have a few questions regarding StakeBox, hopefully somebody can clarify for me. Is this correct? If this is a pre-release test build when will the official build be ready, how can I upgrade to it? Additionally I noticed it is running Peercoin v0.6.3.0, with the v0.7 hard fork right around the corner on January 28th, 2019, would I be able to upgrade to it as well? so how do i update? it is done automatically with the regular system updates? Update as you would update the system.